← Getting on a bit. 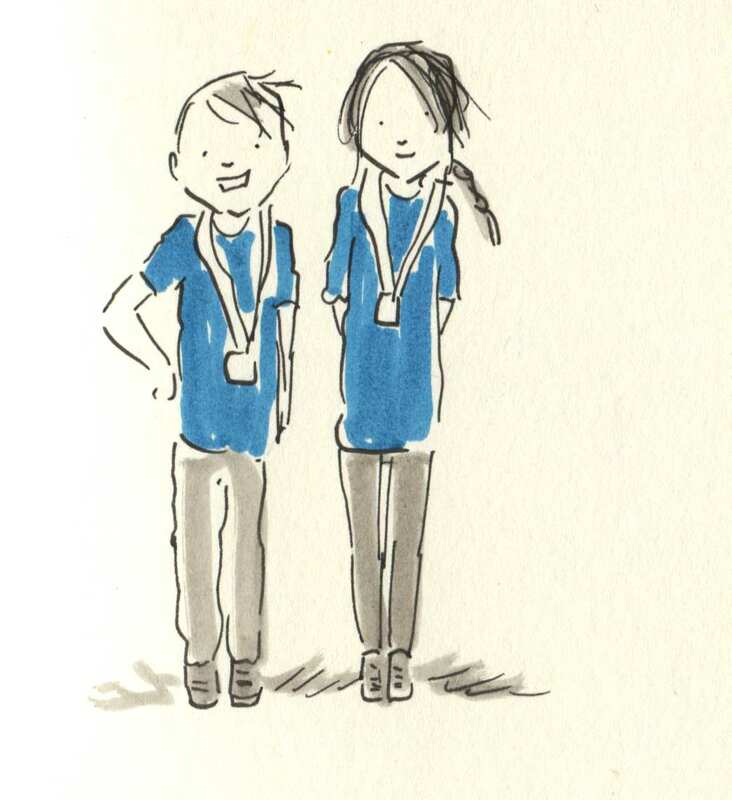 Evie and Gruff completed their first ever 1 kilometre race today, I’m super proud of them and they’re super proud of their very shiny medals. Mum got one too but she had to run 10 kilometres to get hers but to be cheered on by your own children is just the best. Posted on September 20, 2015, in Uncategorized and tagged Children, Doodlemum, Drawing, Family, running, swansea admiral 10k. Bookmark the permalink. 10 Comments. so fun. what a wonderful record you’re making of the life of your family. it’s such a short time when you look back on it. Yes Wendy it feels like a natural progression and there’s a medal for your efforts too!